Indie rock duo Broken Bells have reunited, releasing “Shelter,” their first piece of new music since their single “It’s That Talk Again,” in 2015. This new single was released today on member Danger Mouse’s 30th Century Records via AWAL. 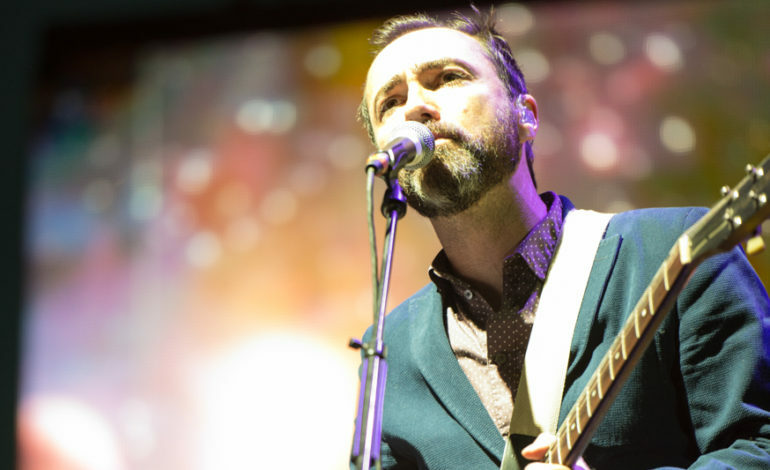 Vocalist James Mercer of The Shins comprises the other half of Broken Bells, alongside prolific producer and multi-instrumentalist Danger Mouse (Brian Burton). Their self-titled debut album was released in 2010, which was followed up by the EP Meyrin Fields in 2011 and then After the Disco in 2014. This latest track was officially teased on the group’s social media earlier this week. In addition to this official teaser, other posts have been showing pictures of the duo in the studio since at least August of this year. According to a press release this latest single was recording during the year between After the Disco and “It’s That Talk Again.” “Shelter,” blends Danger Mouse’s sample based production and experimental instrumentals with Mercer’s vocal performance, blending the dark and dissonant into a psychedelic experience. Mercer took a short hiatus with his band The Shins for three years, before releasing Heartworms in March of 2017. During this time the vocalist teased a possible reunion with Danger Mouse, stating that he was interest in getting together in the studio if time allowed it. “I have corresponded with Brian a little bit about getting together, and he has affirmed that he’d like to do the same but he’s really busy (laughs) as we all know, and obviously I’m busy right now too so I wouldn’t be able to do it in the next few months,” Mercer explained in an interview with MusicFeeds. He also explained that he tends to focus is energy going from one project than the next, rather than juggling multiple music projects at once. When Mercer begins working with the Shins, his effort is entirely focused on the band whereas with Broken Bells, the attention shifts. In addition he explains that his approach to songwriting is different between both projects. “When it comes to Broken Bells, it’s pretty easy for me to delineate because I generally just write with Brian together in the studio, and we generally come up with things together,” Mercer elaborated in the interview.